Power surges or the sudden loss of power can damage computers and other electronics. Power strips are only equipped with handling protection from power surges. They do not protect against brownouts, blackouts or drops in voltage. 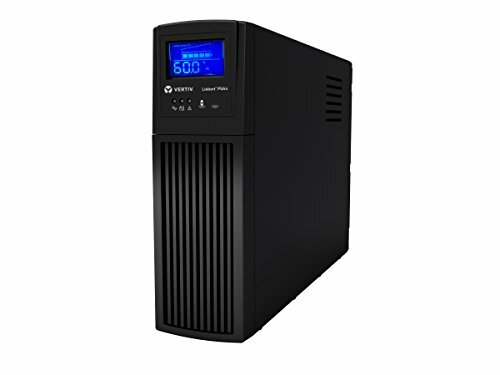 If you want the ultimate protection of your household or business electronics, you need the Liebert PSA4 Battery Backup to protect against power supply interruptions. Liebert products are used in every Fortune 500 company, so you get professional-grade hardware at an affordable price. And Liebert battery backups are easy to set up and perfect for TVs, computers, modems/routers, home surveillance, entertainment equipment, and all other electronics that you depend on. The PSA4 battery backup comes with a hassle-free, no questions asked 3-year warranty including the battery. The manufacturer pays for ALL shipping costs too. If you have any questions about this product by Liebert, contact us by completing and submitting the form below. If you are looking for a specif part number, please include it with your message.